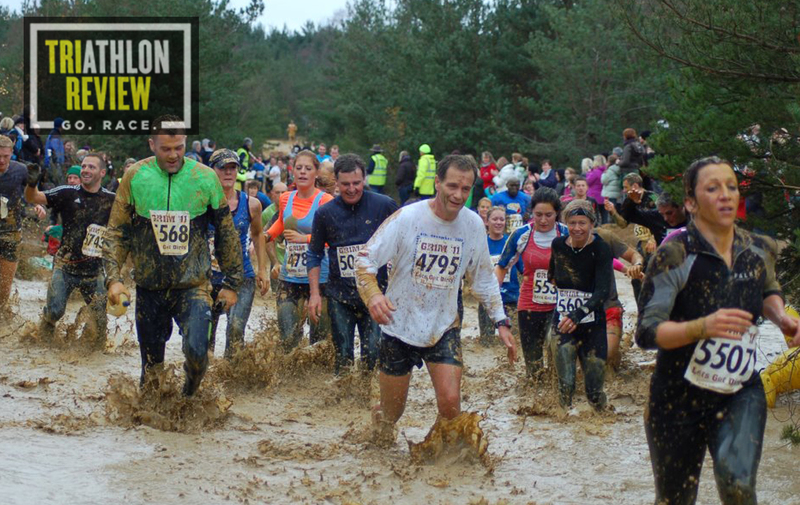 Challenge: run, wade and crawl through an 8 mile off-road course. Don’t wimp out and run around the water. Get stuck in and get wet! Bring some towels and warm clothing for the end! The organisation prior to the race is fine without being spectacular. Pre-race instructions are sent out and the route to the venue is well sign-posted from a few miles away. There aren’t that many stewards there on the day in comparison to other events and it seems a little more relaxed than some events, but on the whole no complaints. This is an 8 mile off road cross-country course held at an army vehicle testing site near Aldershot http://original.grimchallenge.co.uk/ The course itself is muddy with large pools of water which you can run/ sometimes wade through or skirt round the edge if you don’t fancy getting wet. It’s held in December so the water is freezing but that adds to novelty factor. The pools of water can sometimes be up to 30 metres long and often have hidden ruts beneath the water from the tyres of the vehicles. There are a couple of obstacles such as cargo nets to navigate but nothing as extreme as at similar events like Tough Guy or Spartan Race. The atmosphere is good, with everyone who signed up knowing what they’re getting themselves into. There aren’t many locations for spectators so they tend to be focussed in certain areas but the course is short so the time you spend running on your own isn’t that long. I was slightly disappointed by some people avoiding the pools of water on the run, as surely getting wet and muddy is the whole point of the race, otherwise you may as well be running a regular route. I’ve completed the course three times with other mixed ability runners. 8 miles isn’t that far if you’re a regular runner so the distance isn’t a problem. The steepest hill is right at the start and once you’re up that it’s relatively flat after. The biggest challenge is the cold because the race is run in December and the course takes you through the water. You will be cold! The race takes place between Aldershot and Farnborough so there’s not a lot to do unless you get to one of these towns. Once there you’ve got the standard pubs and restaurants to choose from but not a lot else to see. I’ve always treated it as training rather than aiming for a really good time, so this has always had a slightly different feel about it compared with other races. It’s always good fun though.